//Cardiac Problems - Apply Now! If you are seeking Social Security Disability benefits as a result of cardiac problems, there are some important things that you are going to want to keep in mind prior to and while preparing your claim. For the purposes of obtaining Social Security Disability benefits, cardiac problems entail any medically diagnosed disease or disorder that negatively impacts and impairs the optimum functioning of your heart and/or circulatory system. Our social security disability advocates know that this is a difficult time in your life. That is why we work hard to fight for you and help you win you the disability benefits you deserve! Speaking with us is easy and always 100% free ? call us right away! Cardiac problems can result from a plethora of sources and can either be acquired over the course of your life or hereditary, congenital disorders that you have had since birth. The real criteria that is weighed when considering your eligibility for social security disability for cardiac problems is the degree in which your cardiac problems impact your ability to function, and therefore work and provide for yourself financially. In general, cardiovascular problems resulting from one of more of the following broad consequences of heart disease are those which are determined to be qualifying factors for Social Security Disability approval: ventricular dysfunction or chronic heart failure, discomfort or pain caused by myocardial ischemia, near syncope or syncope, and central cyanosis. Of course, if you suffer from any of these debilitating cardiac problems, the Social Security Administration is going to want to see documentation of your condition, including tests performed, surgeries you may have undergone, work and mobility restrictions you must abide by, and all of your Cardiologist?s recommendations. While your Social Security Disability case is being considered, the Social Security Administration may also require additional testing/certification regarding your specific cardiac problem diagnosis and its impact on your ability to pursue and maintain gainful employment. Because of this, you deserve to receive disability benefits and our team of advocates and experienced lawyers will fight for you and win your claim! Because the heart is such a complex organ, there are many different types of cardiac disorders that may qualify you for Social Security disability. Understanding these cardiac disorders can not only help you with your Social Security disability claim, it can also help you live a longer, healthier life. And with our help, you will get the benefits that you deserve so you can focus on getting healthy. One of the most common cardiac disorders is angina, which is really just a medical term for heart-related chest pain. It is not a disease or disorder in and of itself, but it is a very clear warning sign that your heart muscle may not be functioning properly or efficiently and is most often indicative if decreased blood flow. Congenital heart diseases are cardiac disorders that a person has from birth and struggle with throughout their lives. These disorders occur during fetal development and can affect any aspect of the heart, sometimes causing life-long disabilities. Among the most debilitating of all cardiac disorders, congestive heart failure tends to occur in the elderly or infirm, and is ultimately the heart losing the ability to effectively do its job and pump blood throughout the body, causing fluid to back up and be retained throughout the body, often leading to disability. Congestive heart failure is the result of heart damage due to heart attack, high blood pressure or diabetes. The most common of the cardiac disorders in the United States is coronary heart disease, which is caused by the buildup of arterial plaque and results in the hardening and narrowing of the arteries. Coronary heart disease is the single biggest killer of men and women in the United States. Other cardiac disorders include coronarymicro-vascular disease, hypertensive heart disease, ischaemic heart disease, pulmonary heart disease and inflammatory heart disease, among others. While some cardiac disorders, such as hypertension, can appear seemingly out of nowhere without any noticeable symptoms, the fact of the matter is that many cardiac disorders do have discernable symptoms that can tip you off that something may be going wrong with that most important muscle in your body. The most prevalent killer of men and women in the United States is coronary heart disease. Amongst cardiac disorders, it is the most insidious, but it does have some physical symptoms including angina and pain in the throat, neck, back or shoulder. These symptoms may be signals that your coronary arteries are narrowing and/or hardening as a result of cardiac disorders, and they differ in men and women. For males, they tend to be more persistent when the subject is physically active, and females have a tendency to feel more discomfort when they are at rest. Coronary heart disease is a slow killer that does its damage over time, however some cardiac disorders such as heart attacks, come on suddenly and acutely. Knowing the symptoms of a heart attack can save your life or the life of someone you love. 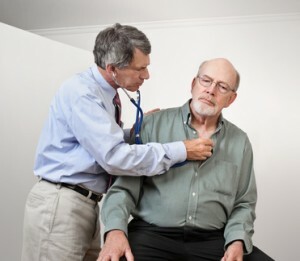 Again, the symptoms of heart attacks, like many other cardiac disorders, differ between men and women, and they can include: shortness of breath, chest pain (particularly left side), back pain, shoulder or jaw pain, unexplained extreme tiredness, heartburn, indigestion and/or nausea and vomiting. There are other symptoms of cardiac disorders, such as palpitations, which manifest as a fluttery feeling in your chest, edema, and shortness of breath or general fatigue or malaise. If you are suffering from a cardiovascular disorder that impairs your ability to work and provide for yourself you may qualify for social security disability help to assist you in making ends meet every month. This is particularly true if your cardiac disorder causes extreme limitations with regard to your ability to move and otherwise get around. If this is the case, you may need SSD help to provide some security for your financial future. Working with our team will put your mind at ease ? speaking with us is always free and we will fight to win your claim and get you the disability benefits you need! There are several types of cardiac disorders that may qualify for Social Security Disability help, and if you suffer from one or more of these disorders the Social Security Administration will look into your individual case to see if you are in fact impaired enough that you are unable to work without angina or fatigue; they will also review your hospitalization records and other pertinent medical information to ensure you are a qualified candidate for SSD help. Some of the most common cardiac disorders that qualify citizens for Social Security Disability help include coronary artery disease, which is the number one killer of adults in America and can be diagnosed via non-invasive EEG or EKG testing and/or cardiac catheterization. Congestive heart failure is another common cardiac disorder that may qualify someone for Social Security Disability help. It is characterized by swelling and is a result of the heart?s inability to pump enough blood to the body?s organs. It also impacts the kidneys and can be very debilitating, leading to the need for SSD help. Other, more acute, cardiac disorders that may demand Social Security Disability help include arteriosclerosis, aneurysm and heart attack. Call us right away and learn your rights to disability benefits for free! Cardiac impairment is the leading cause of death and disability in the United States and can severely impair quality of life as well as have a negative impact on a person?s financial stability. There are many causes of cardiac impairment, some congenital and some that are developed over a lifetime. Regardless of the cause, cardiac impairment can lead a sufferer to seek out and receive Social Security Disability benefits. Cardiac Impairment can come in many forms, ventricular disorder and chronic heart failure being the two most common. Other forms of cardiac impairment that may qualify a citizen for social security disability includes pain or discomfort from myocardial ischemia, near syncope or syncope, central cyanosis or disorders of the veins or arteries. Suffering from one or more of these impairments in an acute or chronic manner can qualify an individual for Social Security Disability benefits. If you believe your cardiac impairment qualifies you for Social Security Disability benefits, you are going to want to get your proof in order before applying. The Social Security Administration requires documentation from your primary care physician and/or Cardiologist regarding your medical history prior to awarding benefits. You will need to undergo testing to confirm your diagnosis and prognosis, some of which the Social Security Administration may order if you have not already undergone them, or if you have not undergone them within the time-frame required by the administration. If you apply for Social Security disability due to your cardiac impairment, the Social Security Administration may also purchase tests to ensure that you meet their guidelines. What is Chronic Heart Failure? While heart failure may come on suddenly, in most cases it is a chronic, long-term condition. It can affect either one or both sides of the heart and can be a silent killer. There are two kinds of heart failure; systolic, in which the heart can?t pump blood out of itself properly, and diastolic, where the cardiac muscles are too rigid and don?t properly fill up with blood. Either of these forms of heart failure can qualify an individual for SSD, presuming they meet certain qualifications. Chronic heart failure is one of the single largest contributing causes to people seeking SSD benefits. The most common causes include coronary artery disease, which can reduce the blood and oxygen supply to the heart by narrowing miniscule blood vessels and uncontrolled high blood pressure. Chronic heart failure can lead to congestive heart failure, which is characterized by edema and swelling in the legs and other extremities as a result of blood backing up due to the heart?s poor pumping ability. There are other health issues that can cause or contribute to chronic heart failure in SSD cases as well, including infections, abnormal heart rhythms, an acute heart attack, a congenital disorder or damaged, narrow or leaky heart valves. Regardless of the cause of your chronic heart failure, it is important to document your condition thoroughly and completely if you are applying for SSD benefits, as the Social Security Administration will want to see comprehensive medical records and likely require specific tests before determining eligibility. Ischemic heart disease is otherwise known as coronary artery disease, and it is the number one killer of men and women in the US, as well as a major cause of people applying for Social Security Disability benefits. It is characterized by the narrowing and/or hardening of the arteries that provide the cardiac muscle with blood, or the coronary arteries. This happens as the result of fatty plaques building up on artery walls in a process that is known to medical professionals as atherosclerosis. These fatty plaques are comprised of collagen, cholesterol and proteins, as well as erroneous excessive smooth muscle cells. The process by which this fatty plaque buildup occurs causing ischemic heart disease is a long one, taking a lifetime to occur. It happens gradually and slowly by efficiently narrows the blood flow down to a trickle or stops it altogether, causing a plethora of further heart problems, which can ultimately lead to disability and the necessity of receiving Social Security Disability benefits. Ischemic heart disease can also be very painful, due to angina or chest pain. In addition to causing narrowing of arteries and restricting blood flow, ischemic heart disease can also make sufferers much more prone to blood clots, as they have a tendency to form more easily on arterial walls that are coated with plaque. This can cause acute symptoms such as heart attacks, stroke and even death. This means that it is imperative that patients suffering from ischemic heart disease receive proper medical care and follow their doctor?s advice closely. This includes restricting activity in many cases, which can result in the need to apply for and receive Social Security Disability benefits. If you have an arrhythmia, what you are suffering from in layman?s terms is an irregular heartbeat. This can mean that your heart skips a beat or simply doesn?t beat regularly for one reason or another. There are two primary forms of arrhythmias; supraventricular arrhythmias, which take place in the upper chambers of the heart and ventricular arrhythmias which take place in the lower chambers of the heart. If the arrhythmias you suffer from happen more than once, you have recurrent arrhythmias, which are a recognized form of disability often entitling you to Social Security Disability benefits. In addition to being either supraventricular or ventricular, arrhythmias are also classified by the heart rate of the person effected. If the patient has a heart-rate of under sixty per minute they are diagnosed with a bradycardia and if their heart rate is greater than one hundred per minute than they are considered to have tachycardia. In any case, recurrent arrhythmias can be life-threatening and often qualify those suffering for Social Security Disability benefits. Many people don?t recognize the potentially life-threatening symptoms of recurrent arrhythmias because they are often non-specific or similar to many other conditions and disabilities. Symptoms can include fainting and being light-headed or they can be more acute and mirror a heart attack in the form of chest pain, shortness of breath or palpitations. Once you have recognized the fact that you suffer from recurrent arrhythmias and have been diagnosed by a doctor and are under their care, you may need to apply for Social Security Disability benefits to ensure that you can meet your financial obligations, as recurrent arrhythmias can cause sufferers to be classified as permanently disabled force them to adhere to activity restrictions. Because cardiac disability is among the most prevalent in the United States, it is no surprise that many sufferers heart disease disability find themselves seeking out Social Security Disability help to ensure that they are able to meet their financial obligations. There are many things that go into determining whether an applicant is eligible for heart disease SSD, not the least of which the severity of the heart disease disability and the specific diagnosis of your cardiac disability. Call us now ? no one will fight harder to get you the benefits that you and your family deserve! Chronic heart failure is one of the most commonly cited heart disease SSD diagnosis? ; in order to qualify for benefits an applicant must be currently diagnosed with either systolic or diastolic heart failure and meet symptom requirements and other qualifications. Claimants suffering from ischemic heart disease (coronary artery disease) must meet very specific guidelines as well, considering that it is the single biggest killer of adults in the United States. In order to receive social security disability help for this cardiac disability, you will require a concrete diagnosis as well as documentation of specific testing and to prove that working would be hazardous to your health or life. Heart disease SSD can also be granted if the applicant suffers from other cardiac disability, such as recurrent arrhythmia, a congenital heart defect or disease that impairs your daily activity levels and threatens your health, an aortal aneurism or a heart transplant. These different heart disease disability diagnoses have different heart disease SSD qualification requirements, ranging from simple diagnosis (for the aneurysm or heart transplant) to providing comprehensive medical records and undergoing approved diagnostic tests. Get your 100% free consultation with a compassionate, dedicated, and experienced ssd advocate and get the compensation you deserve!